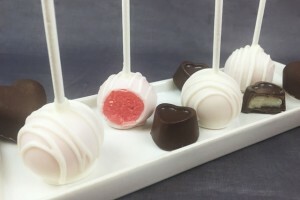 Aren’t these the CUTEST pops you ever did see?! I seriously cannot get over their little faces! 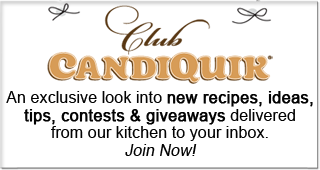 Sometimes, it takes me awhile to think of recipes to make for this blog. People assume that because a lot of the recipes on the site are crafty, that I must be brimming with all these really crafty, clever ideas. But that’s not always the case! Sometimes I find myself stretching to find something remotely cute or clever to no avail. Other times, I cannot turn my mind off and I have ideas coming at me left and right, begging to be made. 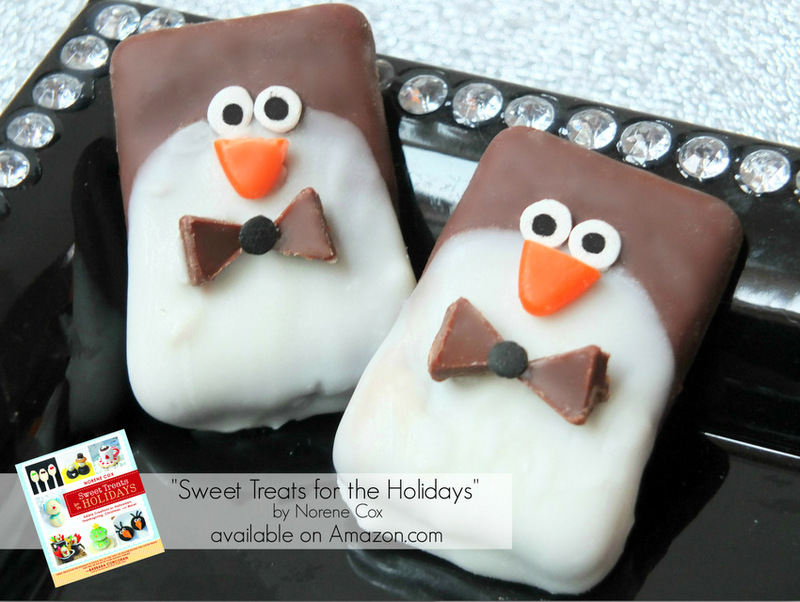 …which is pretty much exactly what happened when I read my friend Norene’s book, Sweet Treats for the Holidays. 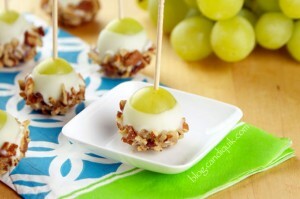 Norene blogs over at Party Pinching which focuses on budget-friendly treats & party ideas and LOTS of cute food inspiration. Norene has successfully made me ooh and ahh over here innovative desserts made from everyday ingredients you and I know and love! And she’s a huge inspiration for CandiQuik since she uses our products (and mentions us in the book — thanks Norene!) quite a bit. We’re so happy she’s so inspired by our product! 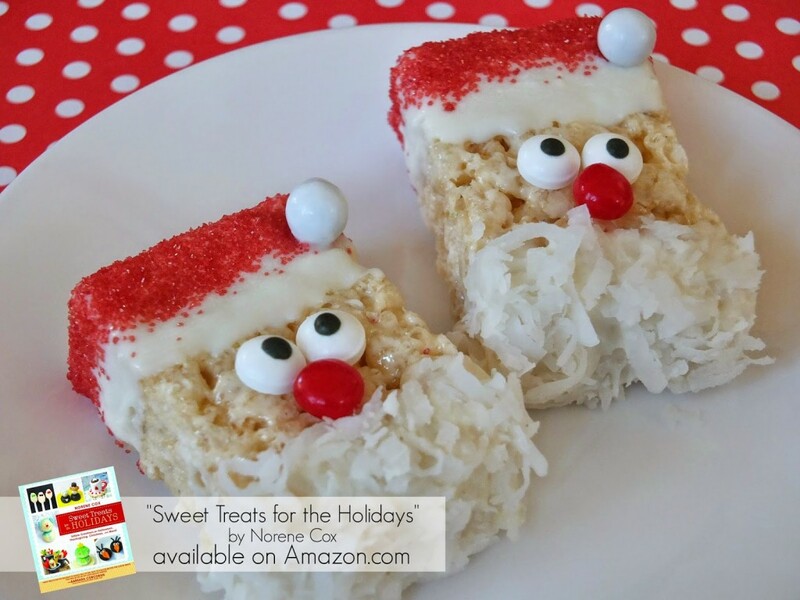 Krispie Kringles, made of Rice Krispy Treats and decorated to look like the jolliest little Santa ever! 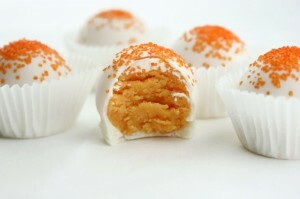 And of course, Sweet Treats for the Holidays inspired our recipe today! 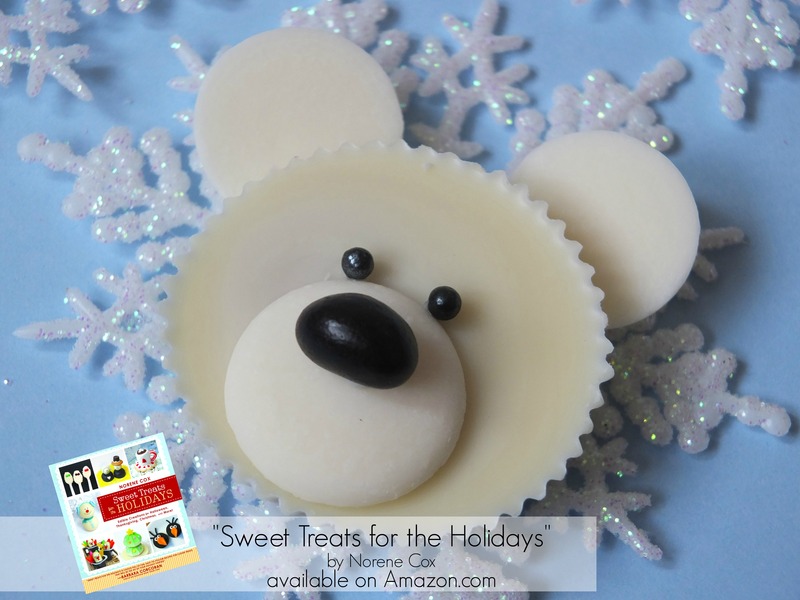 Here’s her Polar Bear Peanut Butter Cups! Aren’t they adorable!? 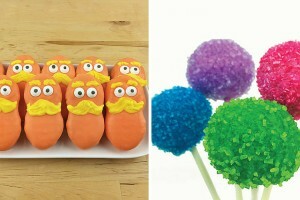 When I saw them, I knew I had to recreate them for Miss CandiQuik! I love Norene’s Polar Bear Peanut Butter Cups, but I also happened to have some popsicle sticks, eyeball sprinkles and cute bow-shaped sprinkles lying around so I thought I’d improvise on her creation. 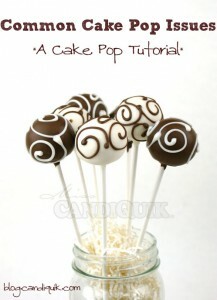 Ours are every bit as easy to make as hers, but with the convenience of eating it on a stick. Nothing beats food-on-a-stick, am I right? 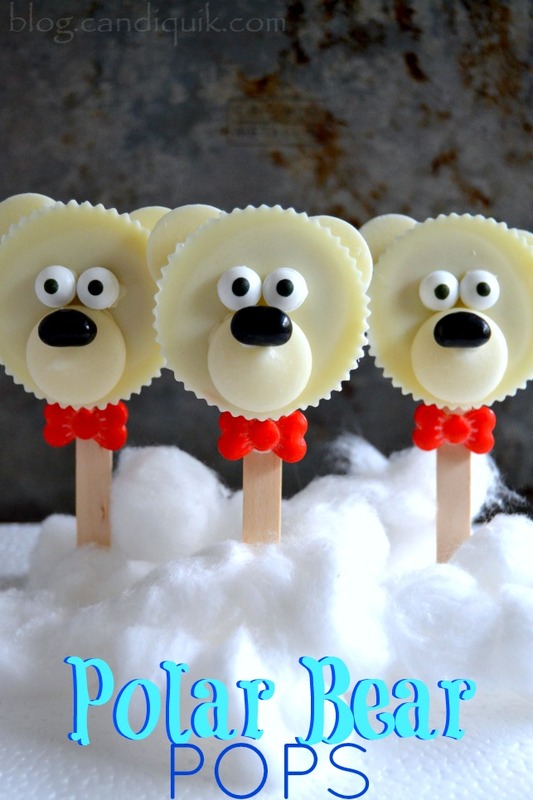 These ADORABLE Polar Bear Pops couldn't be easier to make and are so much fun to decorate with the kids! 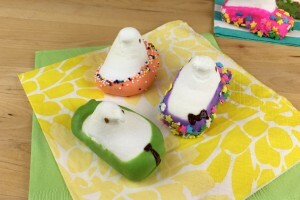 Using store-bought candy and sprinkles makes these memorable pops a breeze to put together! Melt the Vanilla CandiQuik according to package directions, until smooth and melted. Set aside. Unwrap the peanut butter cups and flip them so the bottoms are facing you. Dab a little of the Vanilla CandiQuik onto the flat side of the white candy disc/Necco wafer and place it on the top corner of the peanut butter cup. That's an ear. Repeat with remaining side, allowing ears to dry before flipping the peanut butter cup over. Flip the PB cup over and using the CandiQuik, attach another candy disc onto the lower part of the PB cup for the snout/mouth. Allow to dry. Dip some of the Vanilla CandiQuik onto a toothpick and dab it onto the backs of the eyeball sprinkles and the jelly bean nose; attach them to the face and let set. 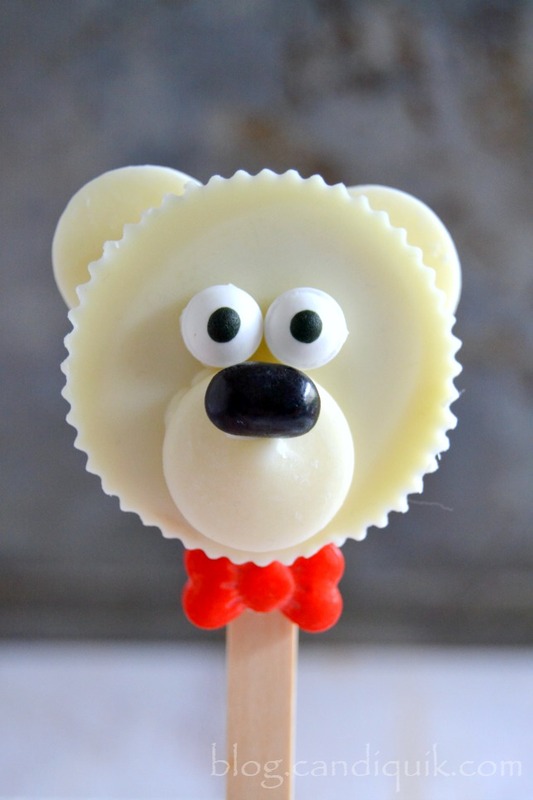 Once the face is set, dip the popsicle sticks into the remaining CandiQuik and attach them to the backs of the polar bears to create the pops. Use any leftover CandiQuik to attach the bows to the front of the pops just under the polar bear heads. You and your kids will have so much fun decorating these irresistibly adorable Polar Bear Pops! Consider using an edible marker to draw on faces, or use pink jelly beans for cutesy pink noses. 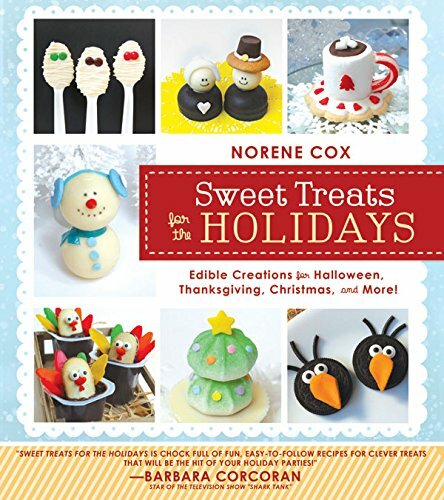 The options are endless, and Norene’s book proves that with her huge collection of edible food art! 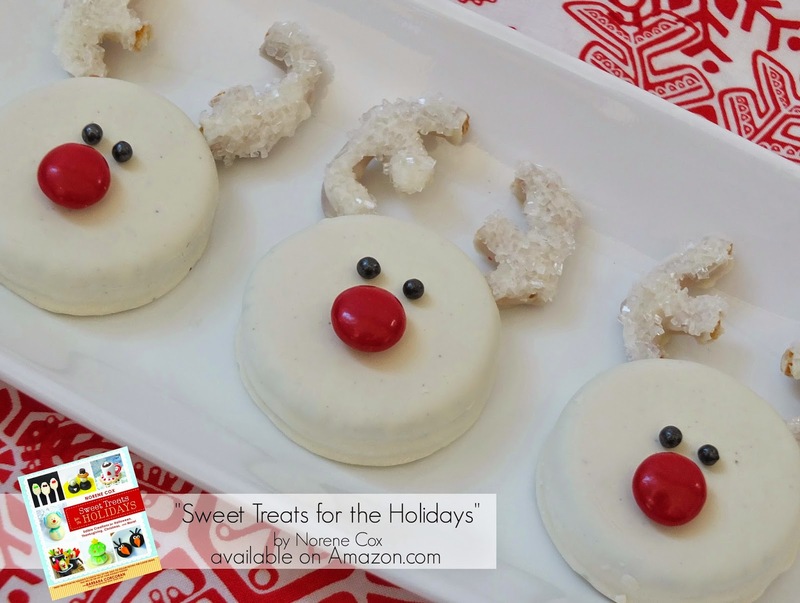 Sweet Treats for the Holidays can be purchased at major retailers including Amazon and Barnes & Noble, and be sure to visit her blog, Party Pinching! Your polar bear pops and Norene’s are so amazingly cute. I love her knew book. It’s full of so many clever edible crafts. Beth, thank you! I simply adore you and Norene and your endless creativity! I agree … Norene is amazing!!! 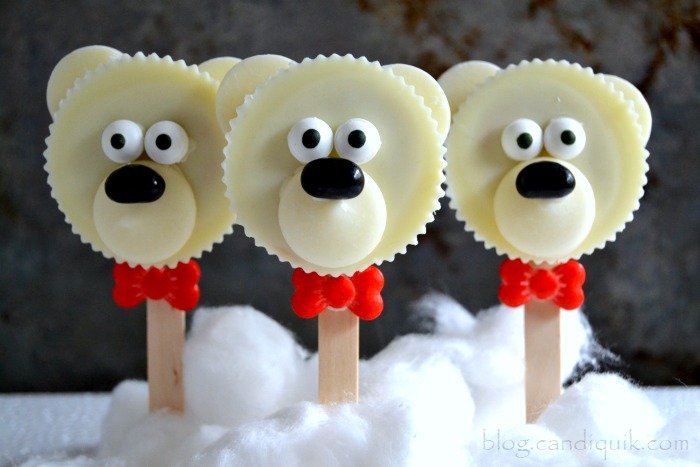 Your Polar Bear Pops are amazing too! Thank you Brenda! I sure do love Norene’s book!